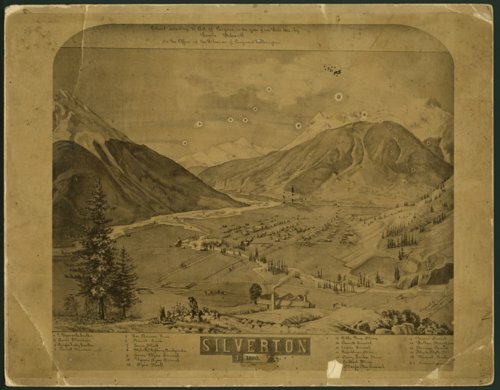 This lithograph is a bird's eye view of Silverton, Colorado. It focuses on the mining in the area. The legend at the bottom identifies tunnels, shafts, mines, and smelters as well as mountains and a river. It was designed by Lewis Schantl and is dated 1880.